Please note, cables, mounting brackets or any other accessories are not included! Unit only. 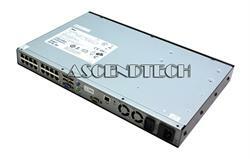 Dell PowerEdge 2161DS-2 100-240V 0.5A 50/60Hz 16-Port KVM IP Network Console Switch W820G 0W820G MY-0W820G. The Dell PowerEdge 2161DS-2 console switch allows administrators to easily monitor and control multiple servers locally or remotely. The Dell 2161DS-2 comes with a choice of two Server Interface Pods (SIPs) - PS/2 or USB - to fit a variety of server needs. A SIP replaces a bulky KVM cable by converting the keyboard, monitor and mouse signals from a server and driving them up to 10 meters (32.8 feet) through a single CAT 5 cable. The SIP cable draws its power from the server and has a keep-alive functionality that is designed to keep the server working properly with or without connectivity to the 2161DS-2 unit. The switch comes with the field-proven Dell Remote Console Software (RCS), a cross-platform management application that provides a single point of access for your entire system. This easy-to-use, Java-based software can be used locally or remotely over an IP connection. 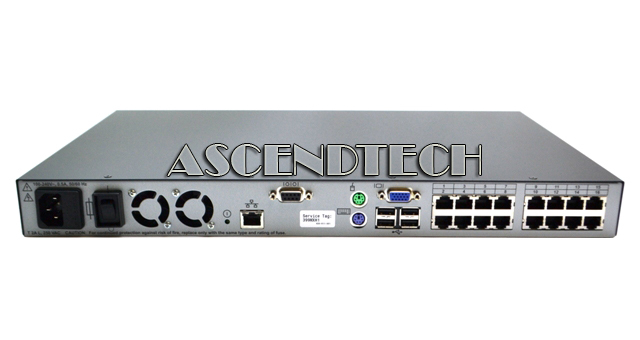 With RCS, administrators can easily configure the switch system and select different servers. In addition, the switch includes the On-Screen Configuration and Activity Reporting (OSCAR) interface for analog control from the local workstation. 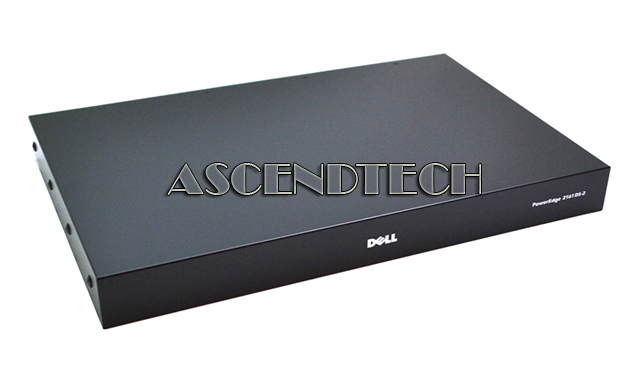 An optional accessory to this switch is the Dell Port Expansion Module (PEM), which is a passive device that can be mounted next to the railing of the rack. A PEM connects to one system port on the 2161DS-2 and then 8 servers. With a PEM connected to each of the 16 ports on the 2161DS-2, the total system capacity expands to 128 servers.